If you're here on Power Compare and looking into your electrical running costs... chances are you are unhappy with your most recent energy bill. 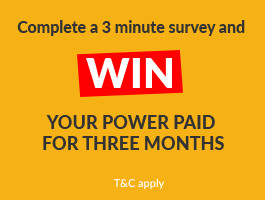 Let us see if we can help out and Compare Power Deals Now or you can take our Power Bill Challenge - send us a copy of your bill and our expert power consultants will check things out and see what options there may be available to save you big on your power bill. Click here to find out more about the Power Bill Challenge. In New Zealand, all of the TVs, heat pumps, computer monitors and whiteware appliances that are available for sale, display the Energy Rating Label. Make sure you consider this when making new purchases. You can choose various appliances and use the running costs calculator at the official Energy Efficiency and Conservation Authority’s website, and check how the amount of energy used is affected by the energy rating. You can also see the annual cost needed to run each appliance. Visit the NZ Government Energy Wise website to Calculate your Annual Running Costs. Click here to visit Energywise.govt.nz in a new window and calculate your costs - you can then come back to Power Compare and see what great power deals we have available to save you money on your energy bills.